One morning, William wakes up to find the tree outside his window has been transformed into a fabulous owl topiary. Over the following days, more beautiful animal topiaries appear. William can’t believe his luck when he sees the Night Gardener making his way to the park and is even more surprised when he gets an invitation to join the Night Gardener in his magical work. The Night Gardener conveys a lovely message of the lasting impact art can have on a person and community. This book combines beautifully detailed illustrations about a warm, multicultural community with a whimsical storyline to create a sense of mystery and wonder. There is so much to see and describe on each page. 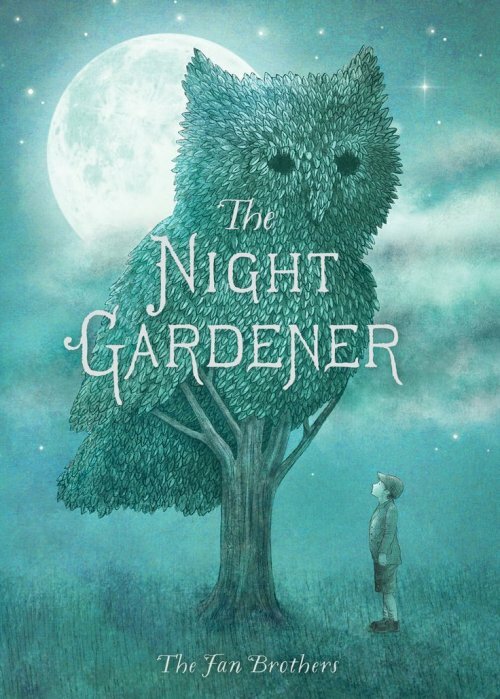 From clues as to which animal the Night Gardener might create next to intricate drawings on what the community members get up to as they encounter new topiaries, you will truly find something new each time you read this book. For further speech and language targets in the Night Gardener, see the list below.